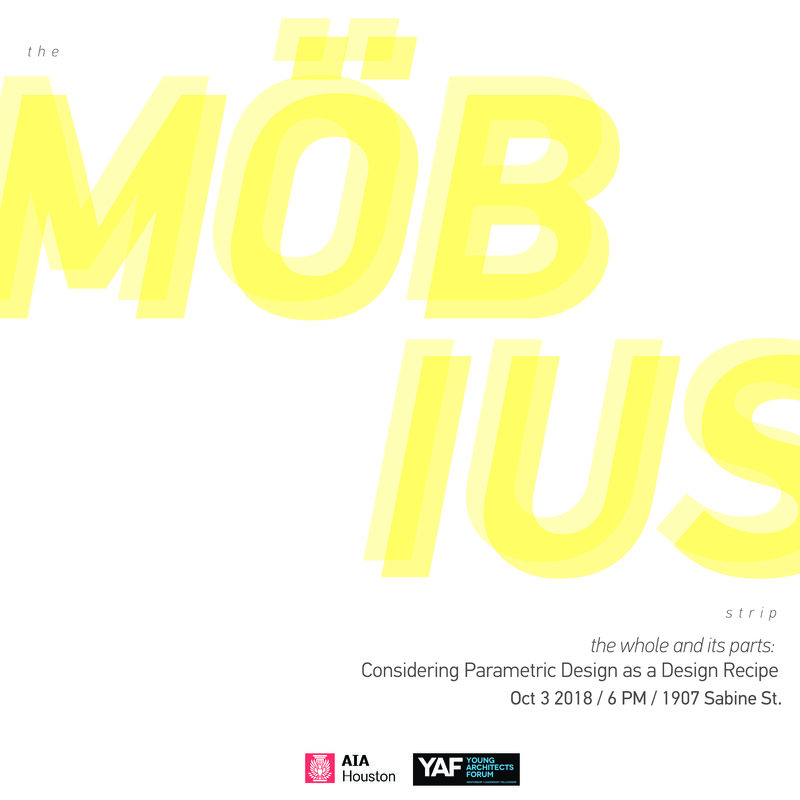 Join AIA Houston Young Architect’s Forum for a presentation featuring Design Make Residency project "The Moebius Strip" by Ami Patel, Assoc. AIA, Paul Kweton, AIA and Hidekazu Takahashi, AIA. The event will take place on Wednesday, October 3 at 6 PM at 1907 Sabine LLC. The event is free and refreshments are provided by AIA Houston. Learn more about the 2018 Residents. We are now accepting submissions for 2019 Design Make Residency. Click here to learn more.